Burger Records is a story of success. 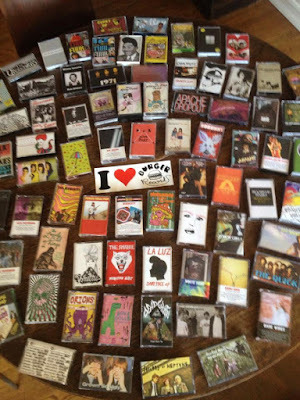 From their humble enthusiastic start of releasing their own music on tapes when cassette market was pretty much buried six feet under they managed to form a very unique label that continues to release a ton of alternative music both on tapes and vinyl. There was never a plan nor strategy for formation of label or store. With Burger it all came pretty much as a spontaneous set of ideas that ended in a truly unique DIY music power house. 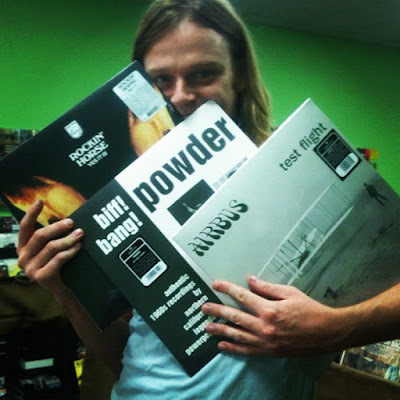 Sean Bohrman and Lee Rickard are responsible for formation of Burger Records. They started as musicians playing in bands like The Noise! and Thee Makeout Party!. This is truly an inspiring story of love towards music. Here’s conversation with Sean Bohrman. It must be quite surreal for you to be able to live of what seems to be a spontaneous idea to release your own music? It’s very surreal! No one had any idea that Burger would reach the heights it’s gotten to. It just goes to show if you work hard and your a bit obsessive compulsive you’ll go far, haha. How did Sean Bohrman and Lee Rickard meet? Lee and I met at a show at Koo’s Cafe in Santa Ana in 1998 – I made fun of him having long hair and we became fast friends! While still in high school, what did you listen to? I listened to Iggy Pop, The Mummies, The Ramones, Supercharger, Johnny Thunders and stuff like that! You were making a fanzine at the time? Would you tell us more what it was about? I made a zine for 10 years called The NEWSLETTER – it was a comedy zine, mostly me making fun of my friends, haha. Lee and I had a bunch of friends in bands and we decided we could do that too even though we didn’t know how to play instruments. So we started The NOiSE! and called it Rock N Roll Performance Art! Then I went to college at Humboldt State and Lee started Thee Makeout Party! I joined the band after I graduated and from there we started Burger to release our band! You recorded material and wanted to release it but you didn’t find label and that was the main reason behind releasing it on your own and soon you also released an album by Audacity and that was the start of Burger Records. So how did the story enrol from here into releasing stuff by Nobunny, The Go? Thee Makeout Party! toured a lot and we met and made friends with a ton of bands like Nobunny and The Go! When we started making cassettes we saw that no one else was releasing these classic albums on cassette so we decided to do it ourselves! What was the original concept behind using tapes as a format? We had a tape player in the van and we wanted to listen to our album (Play Pretend by Thee Makeout Party!) in the van! Yep! I cashed out my retirement and used all of the money to open the store that I’ve lived in for almost 7 years! Your label grew so fast and these days you have a ton of releases. How many are there actually? What’s your opinion about vinyl and cassette comeback? I’m all for people listening to music by any means necessary! What are some releases you’re most proud of? The Go, Conspiracy Of Owls, Pear, Curtis Harding, The Garden, Cherry Glazerr – there’s so so so many. That’s not even scratching the surface – I love all of it!!! You must receive a lot of submissions. How do you decide what to release and what not? If we dig it, we’re down! Can you tell us a bit more in-depth what is the releasing process like? We hear a band we like, we see if they wanna work with us and we rock n roll! Do you have your own mastering studio? No, but we have a few friends we use like Jim Diamond in Detroit and Patrick Haight at Spot On Sound! You’re organising a festival Burgerama. How was that going so far? It’s been going great! Gonna be a wild party this year, stay tuned for more rock n roll! Planning festivals in Europe for this Fall! Would you like to send a message to Psychedelic Baby readers?